We ALL love pizza. The WKC kettle heads here cook so much of it we created a dedicated pizza forum just to hold all the information. Our dedicated pizza forum has produced some incredible looking pizzas as well many innovative cooks and ideas. Pies , pies and more pies ! 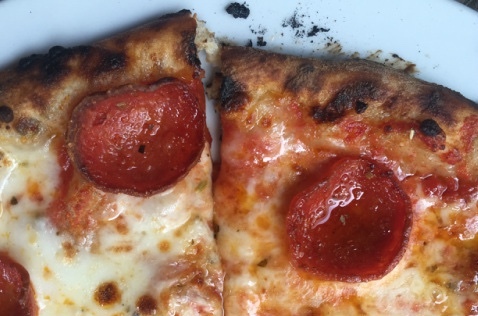 We want to see your best pizzas. Any style, any crust , any toppings and you have the entire month of August to turn in as many hot bubbly pizzas as you want. Were looking for great pizzas, pictures, videos, recipes and documentation of techniques. So snap the best photos you can and tell us the story behind your creation, we want details! TO ENTER: Cook a pizza on your grill, show it off in our pizza forum. Pizzas must be cooked outdoors. Be sure to share your setups as part of your entry , Yes Mr Boldtz you can even use your Kamado. We’re looking for that perfectly cooked pizza. With a great crust, perfect color and eye appealing deliciousness. Be sure to include plenty of pics, including close-ups. We’re looking for unique, out of the pizza box pies here . Use your creativity and blow the lids off of our kettle heads. Anything goes! Just be sure to use pizza dough in some form for your turn in. Every entry will be entered in the prize drawings so everyone has a chance to win. We encourage anyone of any skill level to join in the fun. Special Thanks to Kettle Pizza, we here at the WKC love their products and are happy to have them on board for this great event . Can’t wait to get cooking! Have some ideas already and curious to see what other WKC Grillfellas will create! We’re expecting some epic pizzas . How long does this contest run? Is there a dedicated thread for entering?